Hard work, perseverance and a challenge is what encouraged proud Kingstonian Andrew Kelm to establish Ahoy Rentals, located just steps away from the Pump House Steam Museum on Ontario Street. It all began in 1997 with only a few sailboats and bikes, that a modest business grew into being Kingston’s sole source for “on the water” rental equipment. Originally from Aylmer, Quebec and with over 15 years of sailing experience, owner Andrew makes it his mission to create a rewarding and happy experience for all who walk through his doors. Kingston’s only on the water equipment rentals. Signing up for equipment is as easy as 1,2,3 and can now be done online! A visit to Ahoy Rentals is a chance to unplug, disconnect and spend a leisurely day on the water. 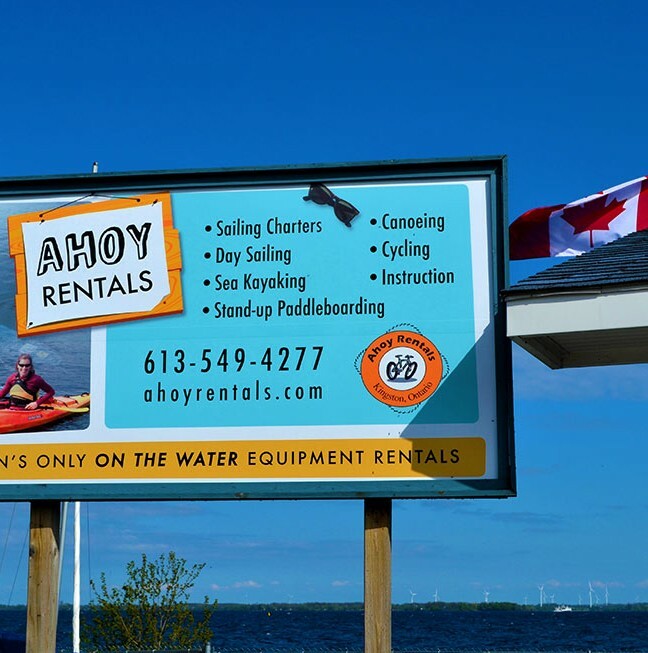 From kayaks and canoes to stand-up paddleboards, there’s something for everyone at Ahoy Rentals. Paddling along Kingston’s waterfront is soothing and spectacular, but easy to take for granted. From time to time, it’s important to put down your iPhones or Androids and just disconnect and get back to nature. 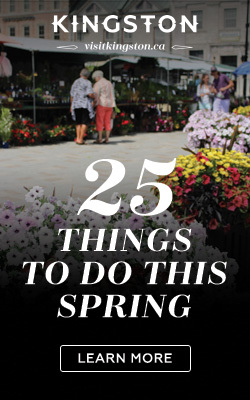 Try surrounding yourself with friends or like-minded people to take the plunge and support a local business! 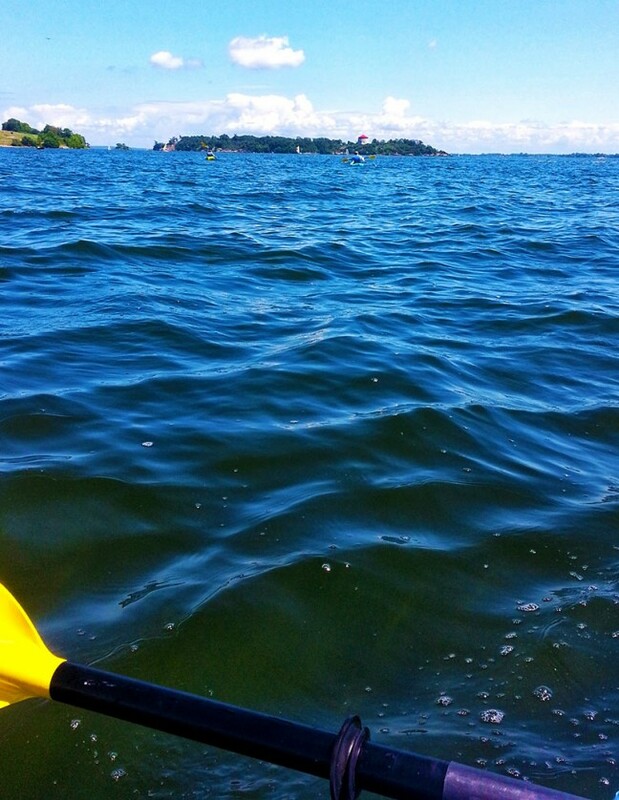 Gazing out at the journey to Fort Henry and Cedar Island while kayaking. If you haven’t quite yet developed your sea legs, Ahoy also offers bicycle rentals and instructional programs tailored just for you! Their convenient waterfront location makes it easy for anyone to get out on the water for an hour or two. 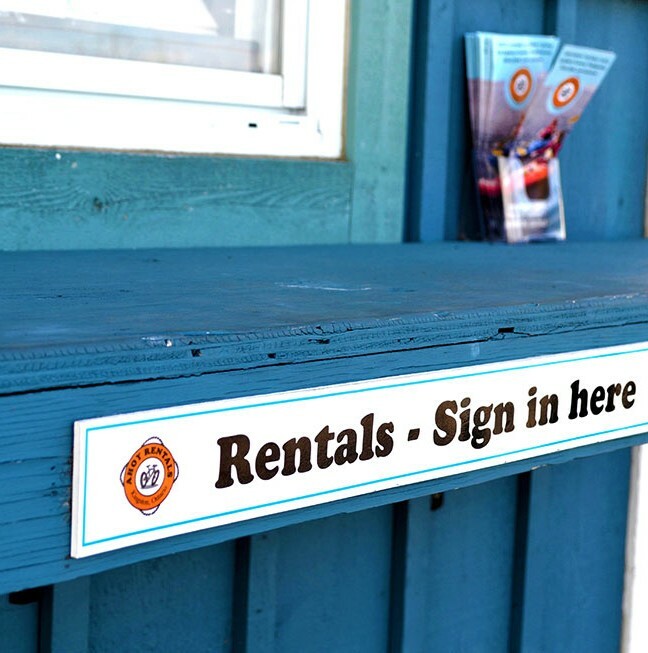 The staff at Ahoy Rentals are available to help customers learn how to securely maneuver their equipment and make their experiences safe and enjoyable! 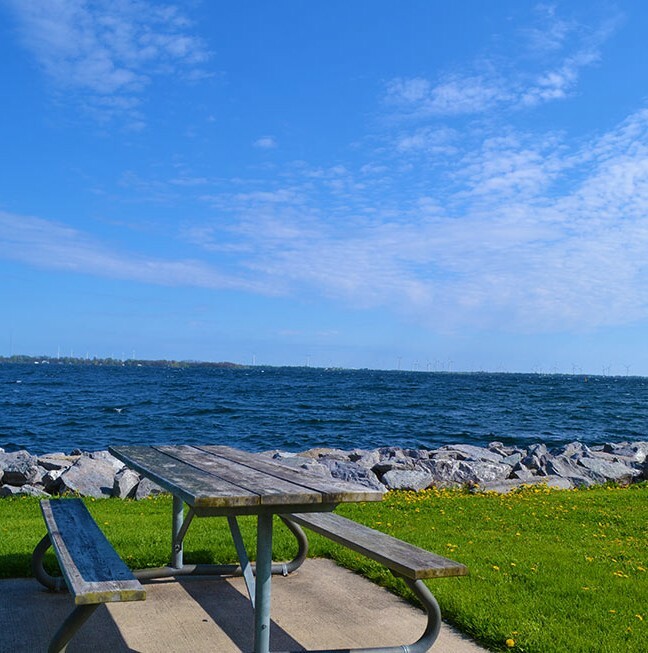 If biking is your more your speed, cruising along the Waterfront Trail or touring Kingston’s beautiful downtown has all the makings for an active and fun-filled day. 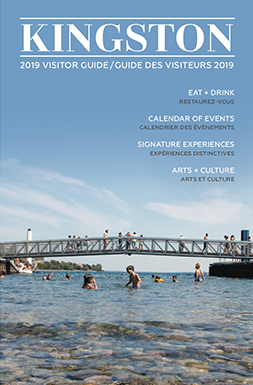 Other options include packing a lunch or visiting the Kingston Public Market for some healthy snack options before taking the 20-minute ferry ride over to Wolfe Island and cycling to Big Sandy Bay! Don’t forget your bathing suit! Enjoy a snack lakeside after your adventures at Ahoy Rentals. Aside from rentals, Ahoy Rentals also provides tourists and locals with skippered sailing charters that include a leisurely sail and delicious picnic catered by Pan Chancho Bakery & Café. Let your skipper Andrew take you out on a personalized sailing trip and enjoy an afternoon or sunset sail aboard a 24-foot sailing sloop – no experience necessary! 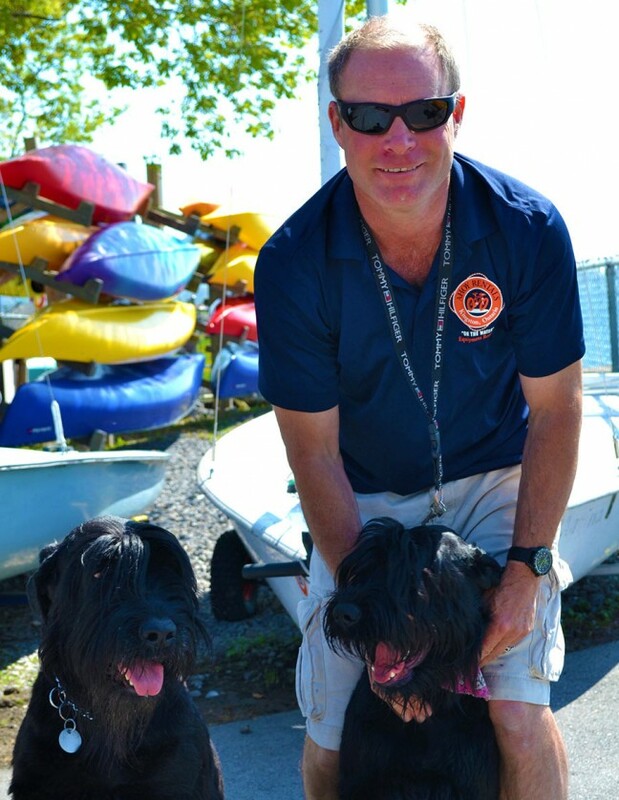 Owner & operator Andrew Kelm with his furry friends – Katya and Mischa. With a refreshing new website and experiences, Andrew Kelm of Ahoy Rentals looks forward to you visiting Kingston’s waterfront. For more information about Skipped Sailing Charters, visit here. 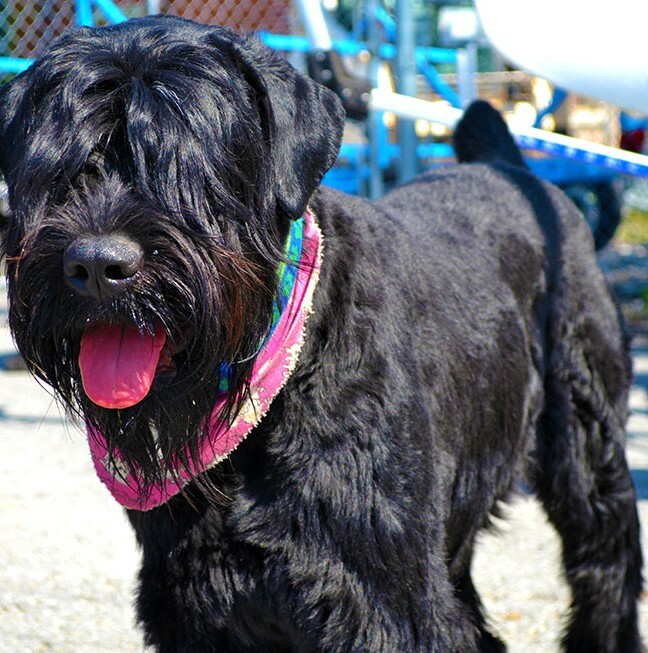 Mischa – the friendliest black Russian terrier you’ll ever meet! SUP Yoga is a combination of Stand Up Paddling and Yoga. The emphasis on breathing, balance and core engagement is a wonderful addition to the yoga and the SUP experience. The peacefulness of floating on the water combined with the meditative nature of yoga creates an overall blissful feeling not easily replicated! Offers a pick up and drop off service to most lock stations from Kingston to Ottawa! Ahoy Rentals has kayaks and canoes that are ideal for paddling this route, but even if you have your own boats, you can still take advantage of this shuttle service! Open Victoria Day Weekend until September 30th.